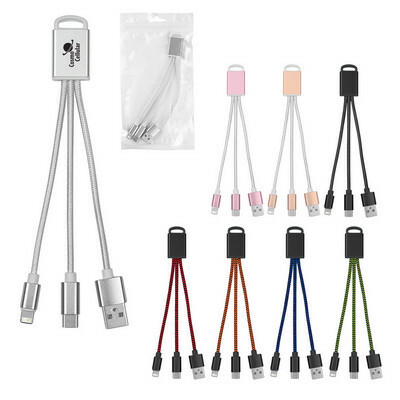 Features: Compatible With Apple 8-Pin, Micro USB And Type-C Devices. Simply Plug The Cable Into A Powered USB Port And Then Into Your Device Or Smartphone. Charge Multiple Devices At Once When Using An Ample Power Source. Price includes : 1 COLOUR 1 POSITION PRINT. Setup is included.